Hello and welcome to Nessa class. We are a year 2 class and our teacher is Mrs Earley. We are lucky to have Mrs Duke as our teaching assistant. Our PE day is Monday morning taught by Go Active. We ask that PE kit is in school on Monday morning, and kept in school all week. We have no homework books this year, but we ask that you practice your times tables weekly. For year 2 these are x2, x3, x5, and x10 tables, these will also be practiced in 99 club in school. We ask that children read 5 times a week with an adult at home. Please make sure reading diaries and books are in school daily. There will be spellings, and a weekly test. Watch this space, as topic based homework for the half-term, along with spellings will be on a half termly newsletter. Autumn term 1, homework leaflet and spellings. For this quick half term we are all about the great outdoors. We will start our topic learning off with a trip to Bosavern Community Farm. Keep an eye out for more information. Nessa class will be taking on the challenge of transforming our quiet area in the front playground. We are hoping to have resources donated by local and national businesses when we write letters to them at the start of the term. This will be an ongoing project that will continue into the second half of the summer term. If any parents have any plants, building materials or anything else that might help towards a bug hotel, etc, or know of anyone who would be kind enough to donate towards the quiet area, please catch me at the start of term. Math will see us complete our learning so far on fractions, where we will move onto embedding our fluency skills through the four operations, adding, subtracting, times and division. In English we will use the movie 'Bugs Life' to help us develop our writing skills. 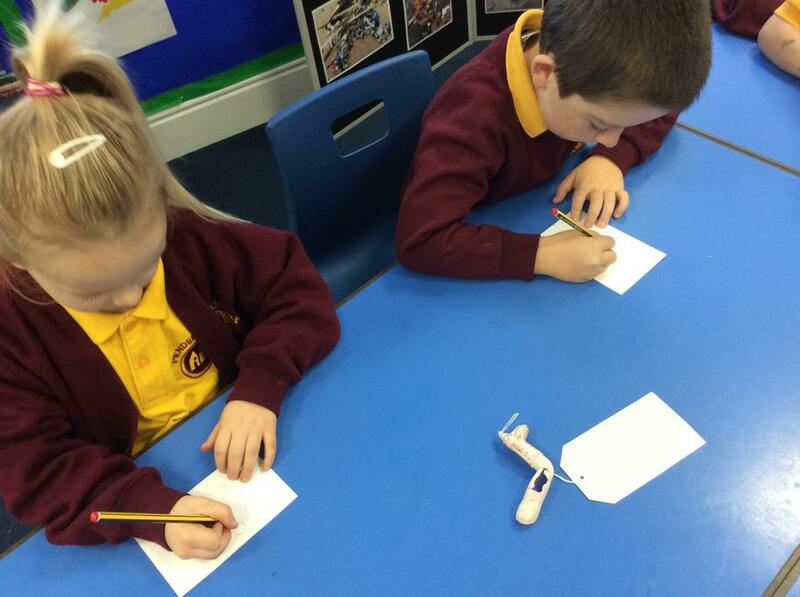 Letter writing will be a focus to help with the quiet garden. The children have asked if we can make a book so other children can read about the different creatures that we will have in the garden. Topic will be based around gardening and looking at or local environment, and how we can enhance it. Geography will see us map out our local area, using Google Earth to plot our local surroundings. We will be gardening throughout the half term, so if you wish to send in an old pair of trainers and t-shirt, the children will be able to use these when we are gardening. We had a great week in Nessa class. Yet again the children have worked hard showing great determination and unity. Several children have moved another club in their weekly 99 Club challenge, and they continue to improve on their daily scores in their times table challenge. English saw us write instructions on how to build and then blow up their volcanoes. We had great fun exploding them, apart from the smell that we now have in the classroom. The children were able to evaluate their investigation, and have now decided on the best ingredients and the order they need to be added into the volcano for the best results. The children were able to work in greater depth this week looking at three quarters of a quantity, using prior learning to work on their fractions. The Easter raffle was a great success, thank you to everyone who donated eggs for the raffle. We thoroughly enjoyed the Easter hat competition. The designs were really unique, and thank you to the parents who helped in their construction. No Bunnies were hurt in the process. We hope that everyone in Nessa has a great break, and see you in a couple of weeks. What a great week we have had in Nessa class. English saw us complete our dinosaur stories, which are now ready for the baby dinosaurs to have read to them at bedtime. Nessasaurus visited in the week which gave us the determination to complete our stories. Keep an eye out on Pobble as I begin to up load the work. I have been blown away this week in the way children have continued to tackle fractions. They are really using what they have learnt on previous days, to help them with new concepts. It was great to hear children being very excited as they told Miss Sweet what they had been learning. 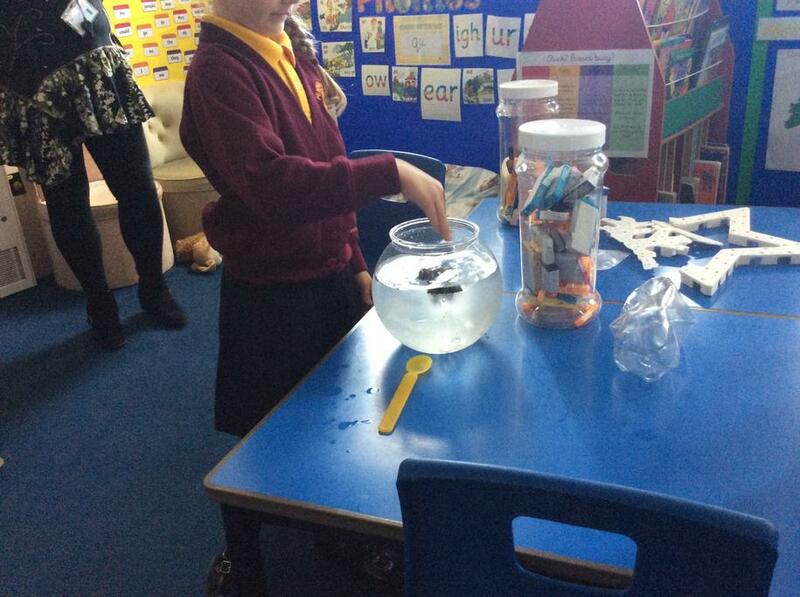 During topic the children took part in a live lesson linked with the recent series of Blue Planet. We are hoping to do some more of these in the future. All of Nessa would like to wish their Mums a really Happy Mothers Day, and I hope you get that lie in. Don't forget after school on Monday we have our meeting about SATs. If you want to enter the Easter hat competition they need to be in class either Thursday of first thing Friday morning. I have seen some lovely Easter treats for the raffle, so make sure you get your tickets from Mrs Scrase. Math has seen us learn all about fractions. We have spent the week looking at halves and quarters, both in shape and quantity. This has proved to be tricky but the children have shown great resilience and determination. In English we continued to box up our story map, and we have just started to to write our stories, the first paragraphs are looking really great. 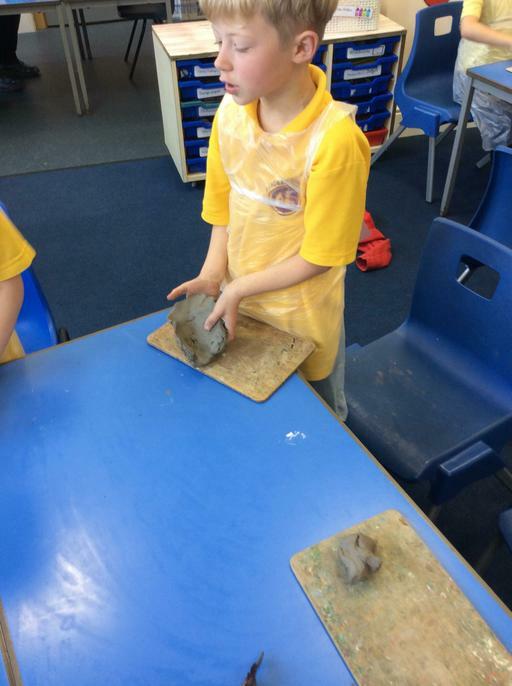 Our volcanoes are ready to explode and they are looking really realistic. 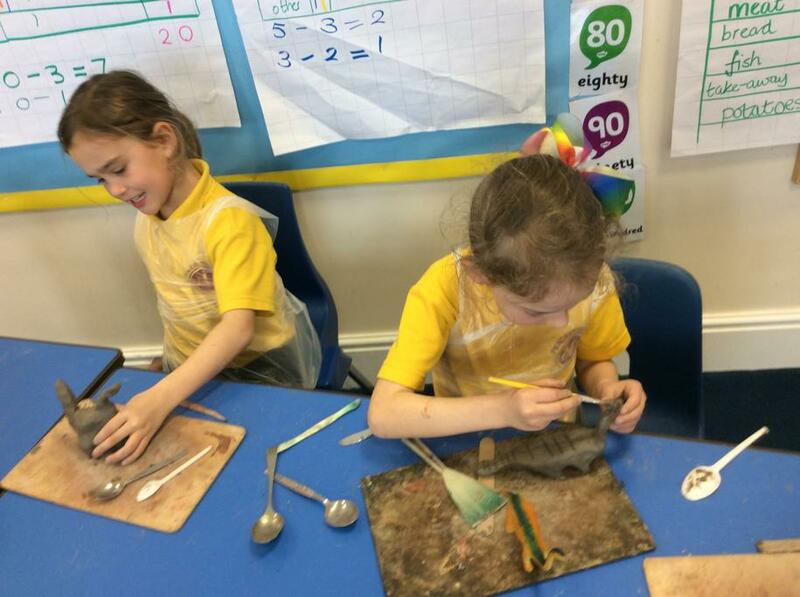 The children had great fun painting, and deciding how much lava they would have. Look out for the pictures in a couple of weeks when we reenact the dinosaurs extinction. In science we are now able to talk about food chains and different parts from the producer to the consumer. On Monday 1st April we will be holding a meeting for year 2 parents to attend a SATs meeting after school, letters to follow. What a very busy week. We became the proud parents of 4 very lively baby dinosaurs, who have no idea on how to tidy up after themselves. This has led us to writing some bedtime stories for the babies as they will not go to sleep, and Nessasaurus heard that humans enjoy bedtime stories. Just as we had started our English lesson on Tuesday Nessasauraus visited our class, this was very exciting. We have started our story maps and we will begin to reinvent these next week. Math has seen us come to the end of our shape block. The children have worked really hard on this. Next week our new block is fractions. Thursday saw us begin to build our volcanoes, what a mess!! We had newspaper and glue everywhere, we now have to wait for them to dry out before we can paint them. Friday morning was great, so much talent in the school. The children that performed showed great courage, lets hope we have another talent show soon. We are hoping for a quieter week next week, and the baby dinosaurs begin to behave themselves. What an amazing week we have not only had in Nessa class but the whole school. On Tuesday we were lucky enough to attend the St Pirans day celebrations. The children were amazing, and we hopped and skipped our way around St Just. Please see some of the pictures attached. The most exciting thing to happen was the unexpected visit by a mystery visitor. After some police investigation that the children carried out, we came to the conclusion that we had had a visit from a dinosaur. We were very excited when the dinosaur wrote to us. We wrote back helping her with a new name as she didn't have one. We voted on Nessasaurus, and created a new species. Excitement grew as Wednesday saw the arrival of a nest and eggs. The children have shown great care and attention looking after them. We will have to wait and see what happens over the weekend as we have no idea when they may hatch. Next week we will use the arrival of the dinosaur and her eggs to write an adventure story. We will keep you posted on our expectant brood. Maths has seen us get to grips with both 2D and 3D shape. It resulted in a shape hunt, looking for shapes in real life. Shape will continue next week, where we will learn all about vertices and faces. Thursday was a real treat, as our hall was transformed into the jungle. Thank you to the parents that were able to help the children write some amazing adventure stories. 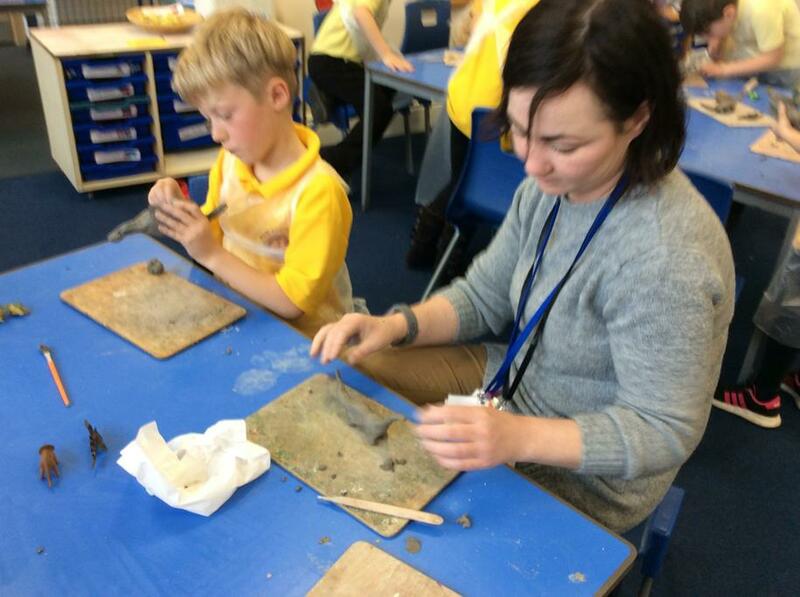 All the children and staff enjoyed working with different adults, and having time to explore the different teaching and learning experiences. We have managed to learn all about the habitats that surround us in science, and the creatures that are living there. Finding a ladybird was really exciting in this cold weather. 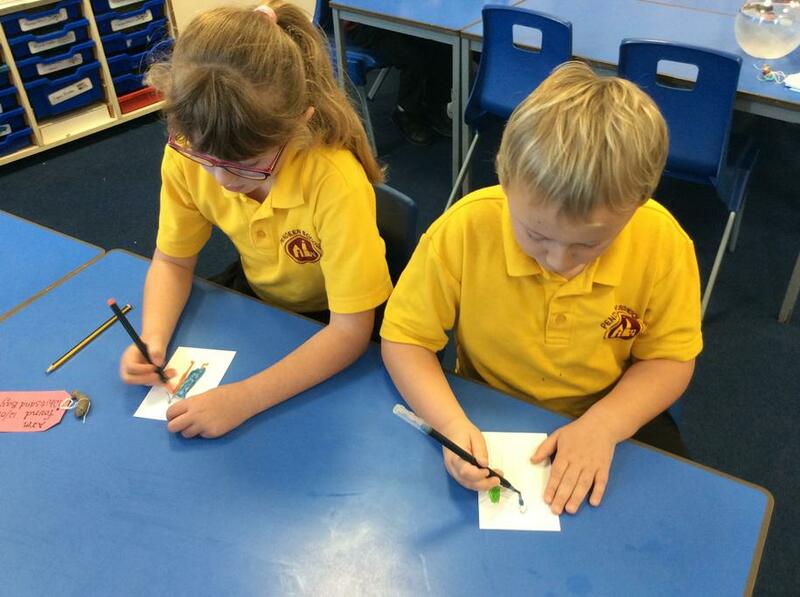 In topic the children have designed their own museum labels which will be displayed in the museum in class. Please can I ask that you send in aprons next week as we begin to make our volcanoes. The weather held and we danced our way around St Just. Thank you to the parents who came to support; it was great to see you. After our long dance, we learned all about St Piran, as the year 7 children from Cape performed a play. The children sang with great enthusiasm as we joined in with Trelawny, and then we were treated to saffron buns and cupcakes. The children were really well-behaved, with several of the Cape staff saying how well mannered they all were. We were all very proud of the children. 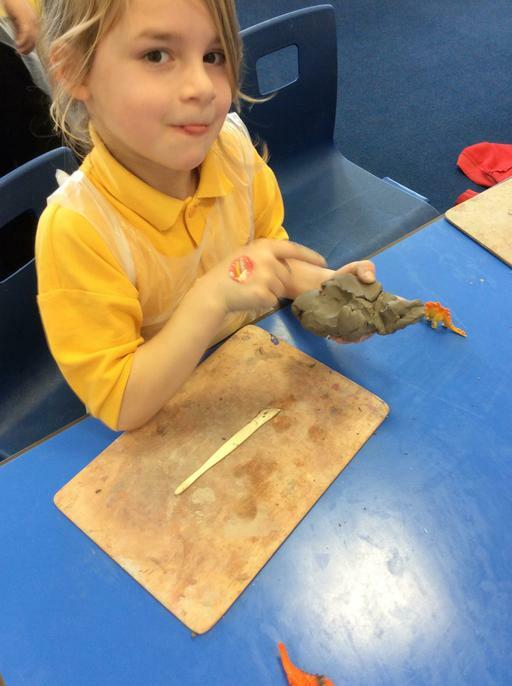 The children have been very excited this week about our new topic dinosaurs. 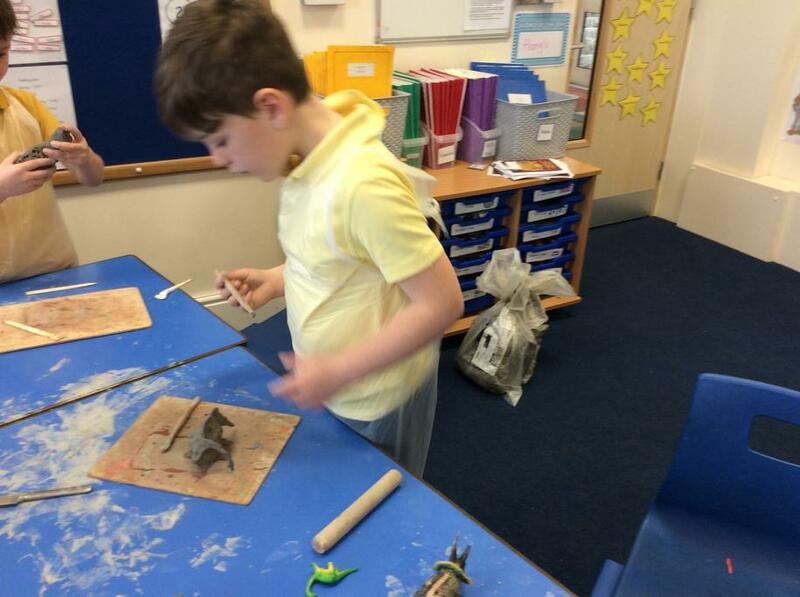 We have learnt when the dinosaurs existed, and their habitats. Science has seen us begin to understand the different life processes, and how we know what has been living, non-living and dead. 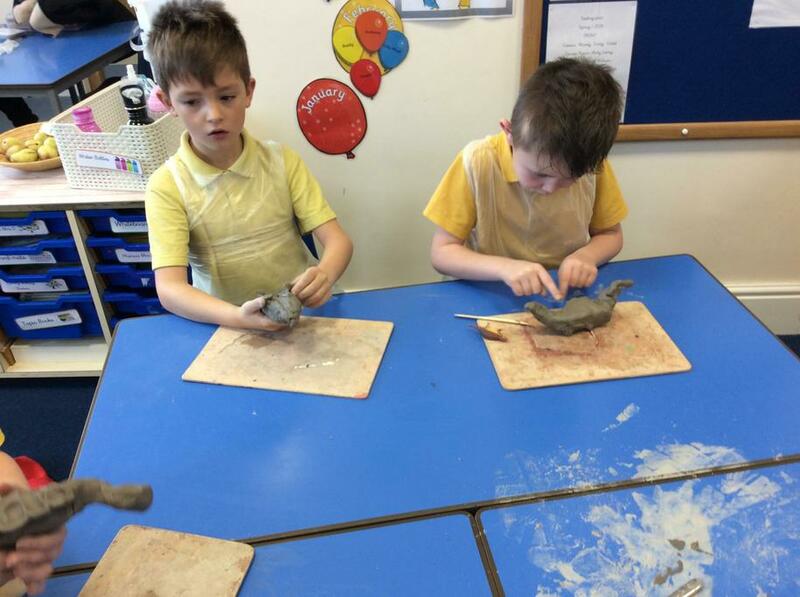 Please see attached the beginnings of our clay dinosaurs, we had great fun creating new species that are yet to be named. Math has seen us learn all about tally charts, pictograms and block diagrams. We are able to interpret the data, and write our own questions to ask others. This week we have been looking at non-fiction books, and the information we can gather from them. Next Tuesday is St Pirans day, please make sure that your child is in uniform and they have a warm coat with them, as we will be outside. We are all looking forward to World Book day, and the exciting activities that Mrs Taylor has planned, for next Thursday. As you can read from the title, we are learning all there is to know about dinosaurs. I spoke with the children before the half term break, and we chatted about what they knew, and what they wanted to learn. The list was endless and they were very excited. So we are going to build our own volcano and then erupt it as this contributed towards the end of the dinosaurs. 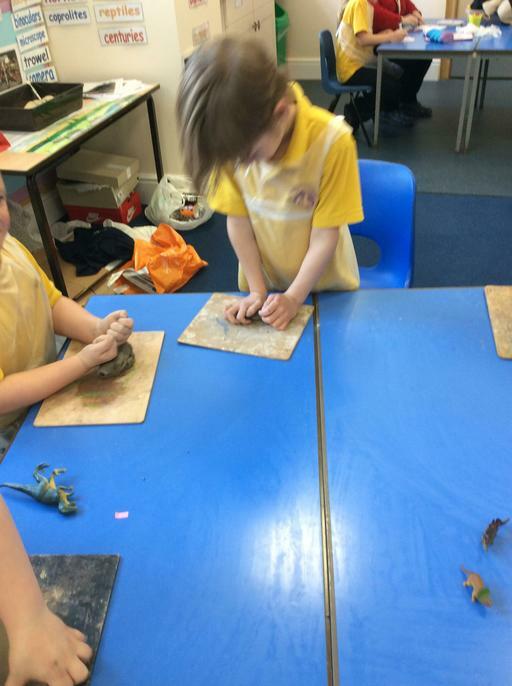 We will make 3D models out of clay, fossil making is high on the list, and we will learn all about Mary Anning a very famous lady who found a new species of dinosaurs. Math will concentrate on statistics, property of shape and fractions. We will use the early morning math on arrival to school, and our warm up each lesson to embed the skills we have already learnt, as this helps with our fluency in new areas of learning. Daily practice of the times table will continue, and we ask for your support in this area. English will be a lot of fact finding, looking at the different dinosaurs, from the different periods. We will use this information to write fact files, poetry and extracts for our dinosaur museum we have in class. Topic will cover the activities mentioned above, as well as understanding the difference between carnivore and omnivores. This will link into science as we explore the different habitats and life processes of animals, and help us understand why the dinosaurs did not survive. Please see the letter attached regarding an overall for your children while completing the 3D model and fossil making as we will be using clay and plaster of paris, and your help for some plastic bottles so we can all make a volcano. Many thanks to the parents who supported the cake stall, either by donating cakes or buying them on the day. We appreciate your support and the money raised will support the children in their learning. An interesting week in Nessa, we have spent the week interpreting data from tally charts and pictograms. The children are now able to use the data from these charts to help answer questions, and decide which was the favourite, who had the most etc. We will continue with this learning after half term as we look at bar graphs and venn diagrams. I was super excited at the story writing that was produced, and look forward to marking these over the holidays. The children showed great determination as we are beginning to write longer pieces of work. Well done Nessa we are very proud of you. Wednesday saw the start of dance rehearsals for the St Piran parade. Details to follow after half term. We are dancing with Teyr class, and it has been great for the children to have a chance to work with each other. We certainly know how to count to three, and not forgetting the hop. We rounded our travels off by completing our passports, and it was great to hear the favourite countries the children visited. Have a great half term and we look forward to seeing you in a weeks time. Nessa class certainly have a lot of rhythm. As we travelled onto Asia we were treated to an afternoon of Bollywood dancing, and I was impressed how quickly the children picked up the moves. Later in the week we travelled to China as it as it was Chinese New Year on Tuesday.This led to some interesting conversations as to whether China are only now having their Christmas. Hopefully now they know all about the story of how the new year came about. English has seen lots of character description and scene setting this week. I have been very impressed with the language they have been using , and I'm looking forward to seeing it in their writing next week. We have had another challenging week in maths looking at odd and even numbers, and how to divide by 5 and 2. Please practice those times tables at home as it makes our math lessons a lot easier. Next week is Nessa's turn for the cake stall.This will be held on Thursday after school in the hall. We would really appreciate any donations, and all sales will benefit the children. If you are able to donate some cakes please bring them in on Thursday morning to Nessa class. Thank you in advance for your support. Letter is attached above. Great News! The children have decided their treat,and Friday next week we are having a toy afternoon. The children are allowed to bring in one toy in a named bag. Please no electronics or battery operated toys. The toys will be responsibility of the children. Letter attached above. Wow! The children were amazing in assembly today, performing their African drumming piece that we have been learning as part of our travels to Africa this week. They showed great rhythm and courage performing in front of the school and parents. Math has seen us continue with our division, this has proved to be tricky, but the children have not given up, and carried on with their determination daily. We started our new block of writing. After yesterdays clues the children were not sure what would happen today. They were pleasantly surprised to learn that we are writing an adventure story based on the film 'Up'. We have watched the first part of the film and will concentrate on character description and setting next week. If you have the film and wish to watch this over the weekend it would help with their writing next week. In science we continue to look at humans and animals and concentrated on what was good for our bodies. Sadly eating chocolate and crisps daily will not keep you healthy. The children now know what they should be eating daily and what they should only eat as a treat. G'day, can you guess where our travels have taken us this week? We have taken the long trek to Australia. The children really like this country. There are great beaches, it is really hot in the summer, and you can have Christmas day on the beach. We have made posters this week looking at all the fantastic things you can do in Australia. On Thursday we painted some aboriginal art, these will go on display in a couple of weeks outside the classroom, please pop in and take a look. English has seen us writing a recount on our trip to Lands End Airport, they are already looking good, I can't wait to see them finished. We have been concentrating on our sentence structure and learning to join two sentences together. In math we have looked at our times tables and learning ways to learn them easier. Ask your child what we do when we times by ten,we add a 0. We have learnt all about communativity, again ask your child what this means. I wonder where we will travel next week? On Monday we have our phonics meeting this is for parents who received a letter last week. Parents consultations are Wednesday and Thursday next week, please see me for an appointment. Another great week in Nessa. We have started our biography on Amelia Earhart and they are looking really great. I can't wait to read the finished article. In math we have learnt all about equal groups and the different ways you can represent these. The Smartie arrays were a great hit, and the children enjoyed working out the calculations, especially when we were able to eat some of the answers. 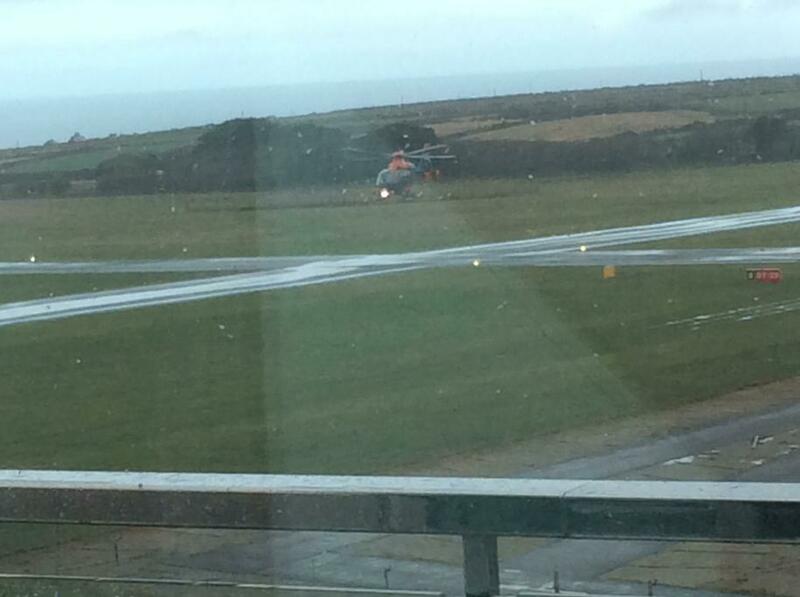 As the week progressed we were really looking forward to our trip to Lands End Airport. We were not disappointed. The staff were amazing. 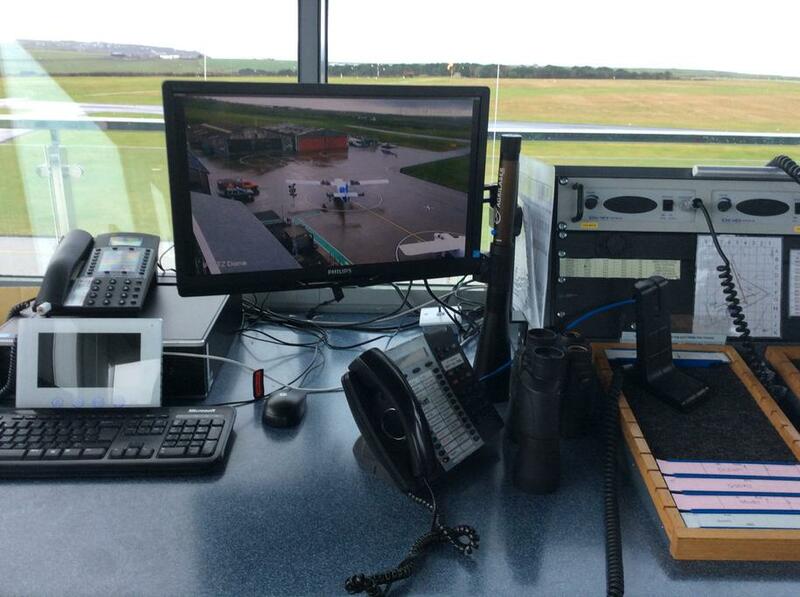 We sat in fire engines, aeroplanes, used our boarding pass, and learnt all about the safety in the aeroplane, The highlight was the traffic control centre, where we were lucky enough to see a helicopter land. The children were fantastic, well behaved and all the staff at the airport commented on how good they were, and one of the best well behaved group of children they have had. Please ask your child about the trip, as they really did enjoy themselves. Next week we will use our trip to write recounts. Not only have we been to the airport, our passports were stamped this week when we visited our first country France. We have learnt all about France, the different foods they eat, their landmarks and what currency they use. Look out for our next country next week, as we travel farther afield. Don't forget parent consultations are coming up. Please sign up, the sheet is outside Miss Sweet's office. Welcome back to everyone in Nessa class, I hope you all had a restful break. We are so proud of the children this week, we have worked really hard, showing great determination and perseverance. Math has seen us say goodbye to our money block, and we are now working on multiplication, using knowledge of the 2, 5 and 10 times tables. Please learn these at home, as it would help the children daily in their learning. In English our writing for the next two weeks is concentrating on a biography about Amelia Earhart. If your not sure who she is ask the children in Nessa. She is a very famous woman who lived many years ago. Her biography writing will link into our trip next week to Lands End Airport. Topic has seen us make our passports, so we are ready each week to travel to a new continent. We have learnt all about the different seas in the world and the best ones to swim in. Please can I remind parents that PE kit needs to be in school daily, and PE lessons are on Mondays. 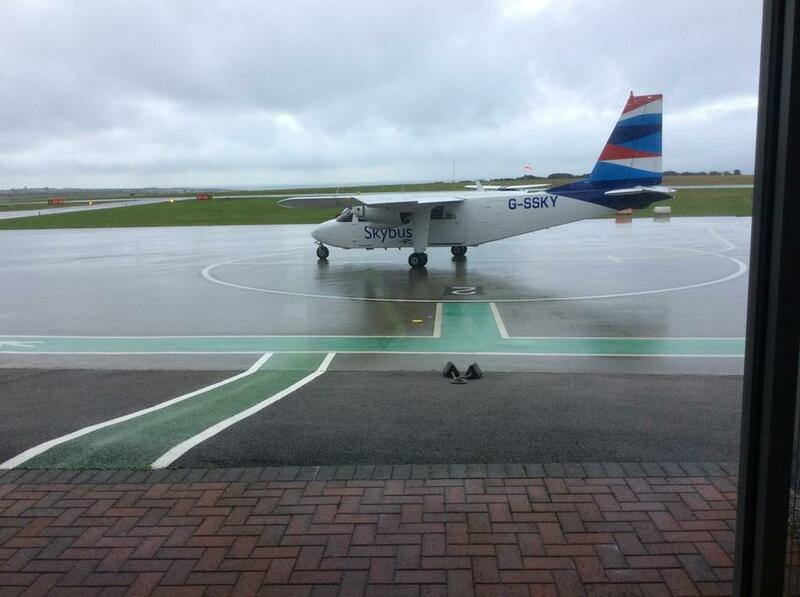 Next Friday is our trip to Lands End Airport, if you have not already done so, please return your consent letter on Monday to ensure your child gets to enjoy the trip. Spring Term 1: Around The World In 80 Days. This half term as the title suggests, we will be travelling around the world in 80 days. We will start with a trip to Lands End Airport, please see letter attached which will be sent home first day back. Math will see us concentrate on our times tables, 2,5,10. Please practice these at home, children who know the times and division for each table are able to use these facts across all areas of math and give them more fluency in their learning. Statistics will be a focus looking at bar charts and pictograms etc. English will focus on Fogg and his adventures, through wanted posters, autobiographies and story adventure writing. During our English lessons we will be looking at pieces of text and how to explain what we have read, retrieve information and predict what might happen next. Reading Vipers will help us to understand what we are reading. In topic we will be travelling around the world, completing our stamps in our passports, and learning all about different countries.We will look at the language they speak, the foods they eat, where in the world they are which will help us with our map reading skills. Please can I ask that you provide an old shirt or t-shirt for your child to wear, as this will stop their uniform from getting stained while we are having our art lessons. Thank you to all the parents, grandparents and other family members who joined us at Geevor for our carol singing, it was a great end to a very busy term. All of us in Nessa class had a great last week talking about how Father Christmas makes it into our homes on Christmas eve. I only hope he arrived and delivered. We were treated on Tuesday to some beautiful music from the children who learn guitar at school, they showed great courage and talent. Our KS1 party was great, who knew they were so good at musical bumps. We look forward to seeing you on Monday 7th January. What an exhausting and thrilling week all in one. We are so very proud of all the children who took part in the nativity play. They sang and said their lines to perfection. Thank you also for supporting with costumes, learning lines and coming to watch. Thursday came, and what weather, we were all sad that we could not make the park. 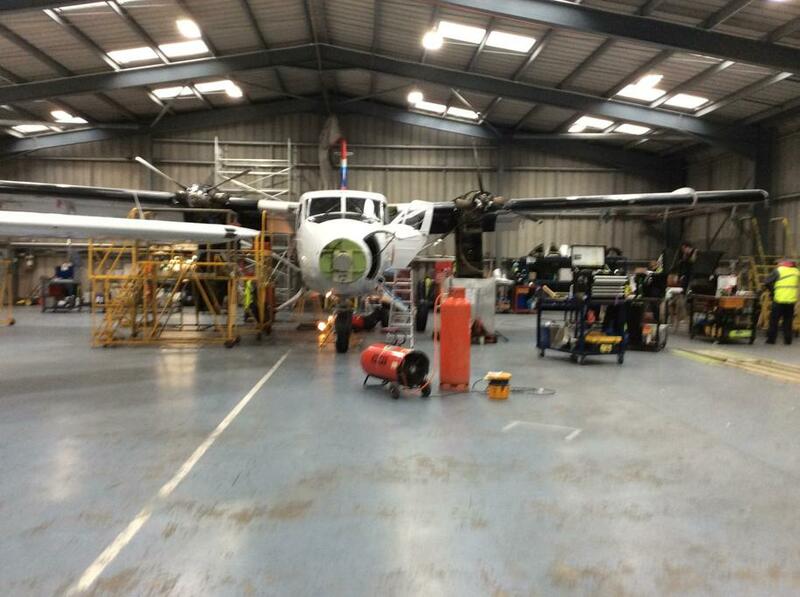 We will try and go next week, but I won't promise as next week is even busier than this week. Friday saw Christmas dinner day, everyone had a great lunch and fun with all the crackers. Please make sure you look in your child's book bag as we have parties, visit to Geevor and other lovely activities going on in school next week. Monday will be your last chance to get those raffle tickets. Thank you for your support in providing raffles. Christmas has well and truly come to Nessa Class. The tree is up, we are rehearsing our carols for the Geevor concert, and we have been very busy putting the final touches to our nativity. If you have not bought your tickets yet, there are a few left to purchase on parent pay. Although the nativity has kept us busy, that hasn't stopped writing acrostic poems all about the sea this week. The children have really impressed me by their use of language, and their confidence in reading their poetry out loud. Next week we will continue to write more poems, with the focus on the ocean. Math has seen us start a new learning block. We are looking at money. How to add, making the same amount with different coins and being able to give change. While out and about Christmas shopping it would be great if you could help the children recognise coins and notes we use. We can't believe that we will be in December this week, which means the nativity play is around the corner. Thank you all for bringing costumes in, we are now able to see all the little extras we need to make in class. Book your tickets by Parent Pay and then send in your slip, and as soon as payment is received, tickets will be sent home via your child. Please check book bags daily. We have sadly come to the end of our story writing about the 'Lighthouse', the children were disappointed when we made it to the final sentence. I am looking forward to reading them over the weekend, and then being able to share some on Pobble and eventually to our topic wall display outside our classroom. Math has been a challenging week .We have had two groups this week, some children brushing up on their number bond skills as these are really important for our fluency across all area of math. The other group have learnt the magic trick of how to add to 100, this helped us to complete a challenge set by Miss Sweet when she popped in on Friday morning. We have spent most of our afternoons rehearsing the nativity. Not giving too much away, you may need your tissues as they are amazing. The children were super excited to see the advent calendar appear today, and as they are getting to know their dates in the months they were able to say that Saturday is the day they can start having chocolate for breakfast. We will be having a post box this year for Christmas cards please put yr2 on the envelope as we have several children with the same name in school. We have had a great week in Nessa this week. We have come to the end of our column addition and subtraction block, and we are more confident with exchanging and crossing ten. This has been a real tricky skill to master, and the children have shown great determination and perseverance in understanding this. 'The Lighthouse' film continues to be our stimulus for our writing. We have started writing the story, and we are really focusing on our choice of words. So far the children have begun to produce some fabulous work, even blowing the socks off Peswara when we shared our stories. Nessa were surprised when we had a visitor to school. Brian came in from the RNLI and explained all about our local lifeboats and the work they do. Some of the children were able to dress up as lifeguards, and we learnt all about beach safety. Who knew we have 11 light houses in Cornwall, well Nessa do know, and we were amazed at how many were just off or on our cliffs in our local area. Please watch out for forthcoming letters regarding ticket sales for the nativity. Please can I remind parents that all costumes need to be in school in a labelled bag by next Wednesday 28th November. It is really important that children read daily at home. Well done to those children who are reading daily and moving up the reading bands. Daily reading has a huge impact on not only children's ability to read, but gives them interesting vocab in their writing across all subjects, and supports their math as well. We have had a fun packed week in Nessa. We have continued to look at both column subtraction and addition, although we are finding it tricky, we are certainly showing our determination and perseverance. English has seen the write of our diary entries. They were amazing, we are now looking at a short film 'The Light House', and this will be our inspiration as we write over the next two weeks. Wednesday was amazing, we had a visit from the Cornish Plastic Pollution Coalition. Delia and Ann carried out workshops, where we were beach detectives - looking at what we can find on our local beaches, then followed by role playing as marine creatures, and finally making flotsam characters from beach plastic parts. Children in Need so us take part in the Great Pendeen Bake Off. We had lots of entries, which were all very tasty. Thank you to all the parents who supported their children in making cakes. Check the newsletter for the total raised. A fantastic week in Nessa this week, we have started our diary entry from Mrs G point of view. We were wowed by their sentences, and their level of description.I am really looking forward to reading their end product. Math has proved tricky this week, and we have shown our determination in exchanging in addition. We shall continue with this next week and then move onto subtraction. Science was great this week, we have started looking at climate change, and how we as people are contributing to this. 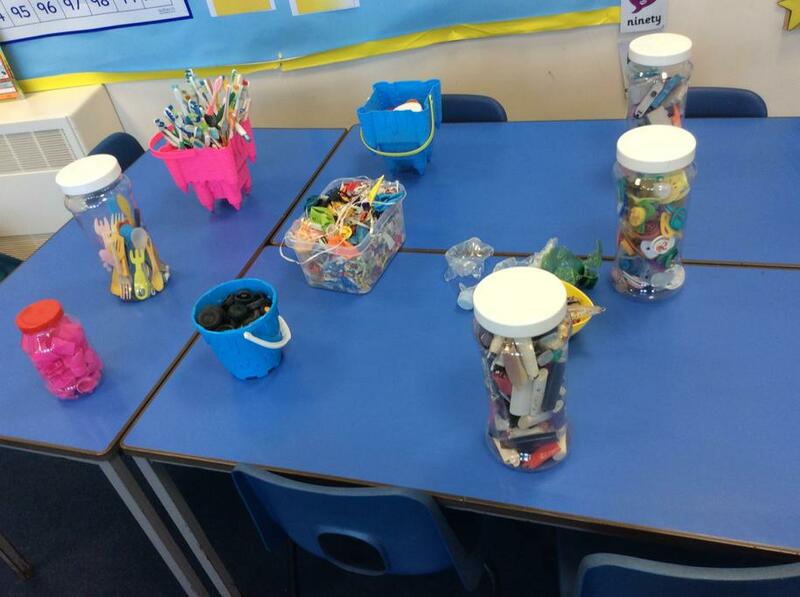 Next week Delia is in looking at plastic pollution with a morning of different activities. We have started to look at where we live, and what it means to live in this beautiful part of the world. DT has seen the start of our lighthouse making. We have completed our design process, so we will begin to make them next week. The disco was a big hit with lots of singing and dancing. Please make sure that your child has a coat in daily, as we are playing and learning in all weathers.You can also provide joggers and a warm jumper for PE, as we are going outside. Welcome back after what seemed a very quick week. The children have settled really well back into routine and have taken every challenge this week head on. In math we have been using addition and subtraction in the column method. We were very impressed when the children took their prior learning of number bonds, and were able to complete their addition and subtraction calculations. We are continuing with our daily times table challenge, and we continue to have a least one mover each week in 99 club. We have now reached 55 club!!! English has seen the start of our new class read. We are really enjoying the Light House Keeper's Rescue, and are almost ready to start our diary entry. Don't forget to look at Pobble each week where one member of Nessa will have their work published, but it is also a great way of seeing how fab all our writers are at Pendeen. Science this week started off with a visit to the recycling bins and how we recycle at Pendeen. All the children were really shocked at the impact that plastic is having on our planet, and are keen at school to continue the Eco Clubs plastic free school status. We would love next week for each child to make their own junk modelling light house, presently we do not have enough for each child, so if you have any kitchen tubes, Pringle tubes or yogurt pots we would love to have them by Wednesday please. Don't forget school disco next Friday, we ask that all costumes and clothes are brought in a named bag, and are the responsibility of the children. This half term our class read is The Light House Keeper's Rescue. This is part of a series of books and it would be great if you could share some of them with your child. We will be looking at where we live, understanding what is a harbor, port, town city etc through our topic lessons. We are lucky enough to have Delia Webb in from the Cornish Plastic Pollution Coalition, to run a workshop on the dangers of plastic in our seas. This links to our science, where we will continue to learn about materials and what affect they have on us and our planet. Math will see us adding and subtracting 2 digit numbers, understanding money, using our 2, 5 and 10 times tables in both multiplication and division. Please practice these with your child at home weekly. We will continue to do our 99 club and daily times table challenge. English will see a letter written back to the inspectors from our class read. We will write a diary entry about a day in the life of a light house keeper, and we will look at poetry using the sea as our inspiration. In PE there will be days when we will be going outside, so you are more than welcome to put joggers and a warm jumper in their PE kit. If you have not had a look already at Spelling Shed please do. I have uploaded this half terms spellings, and these will be released on the site weekly for the children to practice ahead of the spelling test each Friday. During the parent consultations, I talked to parents who were not recording anything in the reading diary, as they thought it had to be the school reading book. This is not the case, if you read anything with your child even the weekly shopping list, it still counts as a read.It is very important to read with your child 5 times a week,and for those children who read weekly it is having an impact on their writing and their progress. We are all looking forward to a very busy half term in Nessa, but we always have time for a chat if you need anything. What an exciting end to the half term. On Monday, we were very concerned when we realised how much chocolate we eat, and the thought of the Oompa Loompas leaving the chocolate factory was enough for Nessa class to know that was not going to happen! The children have produced some great persuasive writing, and we knew their hard work had paid off when the Oompa Loompas wrote a letter to say they were staying. Maths this week has linked to the half term’s learning with children using what they already know and applying this to new concepts. Friday brought a whole class challenge, and it is safe to say, the sheep are in the correct fields. Enjoy the half term break and we will see you back in class on Tuesday 30th October. Nessa were very excited this week when they received post. The excitement quickly turned to concern when they learnt that the Oompa Loompas had decided to leave the chocolate factory and return home. As we speak the children are working very hard on persuading the Oompa Loompas to stay. Math has shown great problem solving with fact families, and deciding which problems Mrs Earley can't get right. We were very proud of our three, 99 Club movers. However, we had six children who were only a couple of questions away. We are very proud of the determination the children have in moving onto the next club. Well Done! Apparently I am the best teacher ever, but I think it has more to do with our chocolate bar making this week, and then designing and making our very own chocolate bar covers. Watch out next week as the children will be bringing their home made bars home. I can't guarantee that any will be shared. Please remember that we have our parent consultations next week, and I look forward to seeing you all then. Stay safe in the blustery weather. Another hardworking week in Nessa. Please ask the children about the lickable wall paper they designed this week. Our science has led us to understand the different properties of materials, which will help next week when we choose the best wrapping material for our chocolate bars. Math continues to challenge the children but they are tackling it head on. We have been looking at greater than and less than, comparing number and groups of objects. 'Good morning Star Shine, the Earth says hello', this is how Willy Wonka greets the golden ticket winners, and we have been looking at the moment they enter the factory for the first time. This has led to some great expanded noun phrases which will lead on to their recount writing next week. Please sign up for the parent consultations if you have not already done so. It has been brought to my attention that some children have had paint on their clothes this week. Could I please ask that you send in an old shirt or large t-shirt that they could keep in class to protect their uniform, as we will be doing a lot of craft lessons over the coming weeks. I have attached a letter this week regarding next terms project, and your support for some junk modelling. This week we have been re-combining our partitioned numbers, and the children have shown great understanding and questioning in their math lessons. It has meant a lot of manipulating concrete objects (Base Ten and Numicon), and completing math sentences by drawing on the tables.The end of the week the children were able to show off what they had learnt and were very proud to show Miss Sweet how to recombine 2 digit numbers. Well done Nessa you have shown great determination and confidence in all your math lessons. We were really lucky to have a Pobble Day on Wednesday morning where we were able to write some amazing stories 'I am a window and I can see'. We were very impressed by the different settings the children chose. Our other English lessons have focused on our recount of part of the Charlie story, we have learnt all about expanded noun phrases,verbs and subordinating clauses. Both myself and Mrs Duke are looking forward to reading the recounts next week. Please can I ask that you continue to read with your children daily and you keep practicing those times tables. Outside Miss Sweet’s office, the sign up sheets are ready to book appointments for parent consultations. As another week goes by myself and Mrs Duke continue to be amazed at how hard the children are working, and showing great determination in all they do. We have spent the week looking at 2 digit numbers and how we can partition these. As we move into next week we will be looking to partition and recombine. It is really important that children understand the value of numbers and where they fit in relation to one another. Can I please ask that you can find some time to practice your times table, we are focusing on the 2's this half term, and knowing these will help with the children's fluency in their math lessons. There are lots of free apps that can support learning of the tables. Please ask the children about their character descriptions of either Charlie or Augustus. There has been some amazing adjectives for Augustus, 'plump' being my personal favourite. The children have made their own characters and added their writing. Watch this space for some photos once the display is up in class. We continue to use Charlie as our inspiration in our lessons, with some wonderful art wok on the creatures that lived in Loompaland. We are beginning to look at Roald Dahl and all his wonderous books he wrote. Don't forget individual photos on Monday and family groups from 8am. Another week and it has flown by. Both myself and Mrs Duke have been very impressed by the attitude of the whole class. We are working very hard on using our virtues, with many children showing kindness, determination and perseverance. Please ask them about our class promise. We have nominated our class school council member, and we are sure they are going to be a great asset to the council. Do you know your verb from your noun or even your adjective? Well Nessa class do and they have been using some amazing adjectives to describe Charlie and Augustus from our topic. We are looking forward to their completed character description next week. Math has proven tricky this week, and we have showed great determination and team work to begin to understand place value. Keep up the good work Nessa you have all been amazing this week. It was great to be back after the summer break, the children have certainly grown. We have spent the first two days settling into our new classroom and admiring the finished building work throughout the school. The children were very excited to finally use the new trim trail in the playground. Just a reminder that PE is on a Monday, don't forget your kits next week. Spellings will start from Monday, so we will be having our first test on Friday. If you misplace the newsletter it is available on our class page. We will start reading Charlie and the Chocolate Factory next week, so it would be great if you wanted to share this story at home as well.